Tokyo Game Show 2014 has left me pretty pumped for Japanese video games in the coming year, especially on the high end home consoles. The common belief among the video game audience is that Japan's shrinking population is too busy and too mobile to sit in front of a television and just play games anymore. Developers are washed up on the console market as Western publishers encroach on the territory, and traditional giants aim their focus on Japan's booming mobile market instead. However, if you attended the convention, you might be walking away with a different impression. Indeed, Japan still has plenty to offer the console video game scene it jump started thirty years ago, and those of us who love and grew up with Japanese games can take comfort that this AAA Western focused trend in gaming will not totally leave us on the outside looking in. Here are a few final thoughts about this year's show. Far and away, the biggest and most noticeable difference from last year's show was the enthusiasm of Japan's most iconic studios. Konami, Capcom, Bandai Namco, each brought a game from their biggest franchises, and each delivered big where they had to. However, it was Square Enix who showed up biggest in a huge turnaround from last year when all they had to show off was a decade old game in Final Fantasy X|X2 HD Remaster and one of the lowest rated Final Fantasy games of all time, Lightning Returns: Final Fantasy XIII. Square Enix stole the show with plenty of announcements to rock the Japanese gaming world and especially the RPG scene. Longtime Final Fantasy XV Director Tetsuya Nomura stepped down from his chair to work on Kingdom Hearts III, and much like how it charged an unknown director named Naoki Yoshida with turning around ill-fated Final Fantasy XIV Online, Square Enix put this enormous game in the hands of a minor director outside of the Square Enix elite, Hajime Tabata. The move shows that Square Enix is finally showing a willingness to adapt to the way the modern day video gaming world works. Games that take half a decade to develop are no longer feasible, and a smaller company would have been crushed by the setbacks Final Fantasy has seen in recent years. Final Fantasy XIII's sequels, for as misguided as they are, proved the company can speed up development under director Motomu Toriyama's new system. In the meantime, younger, more efficient developers who work hard, understand the modern video game world better, grasp what "Final Fantasy" means, and actually get their projects done on time are being rewarded with bigger, better work. The traditional seniority system which strangles not just Square Enix but all of Japan's emerging youth can hopefully be tossed aside once the upper echelons of the company see the progress being made before our eyes. Square Enix also showed up big with demos for Final Fantasy Type-0 HD and Final Fantasy Explorers. Dragon Quest Heroes is the talk of the town with how much detail developer Omega Drive can pull from the PlayStation 4 to create the most charming, gorgeous musou game ever. Bravely Second is sure to please fans of the original, and it also shows a willingness from Square Enix to throw a bone to the traditional handheld market while Dragon Quest slowly gets adjusted to smartphones. Hopefully, Square Enix plans to replicate its success in the West after the first game sold 1 million copies worldwide. Lastly, Square Enix continued to cement its dedication to the PC market by stealth releasing Final Fantasy IV on Steam and confirming the entire Final Fantasy XIII trilogy will be cropping up one after another. The first game will be released on October 8th for $16. Square Enix is in recovery mode after a devastating 2013 financial year shook up the management, but from that huge blow is emerging a smarter, younger, more efficient company more adaptable to the video game world of today. Faster development, a blooming new talented work force, and a new appreciation from its fans around the world are its rewards. Square Enix sill has a bit of that old arrogant attitude, make no mistake, but with a mix of this new freshness, hopefully it can continue to evolve in the right direction. Konami continues to strike big with Metal Gear Solid V: The Phantom Pain, and all indications are pointing that it should be out by TGS 2015. The game has been the biggest hit at pretty much every convention it shows up at from Tokyo Game Show to E3, and I doubt there is a person on Earth who thinks this game won't be a hit. The problem Konami faces though is that it has an image problem of leaning a little too much on its marquee franchise and not enough on its other viable ones. I'm not going to complain and ask for a new Ganbare Goemon or Suikoden because I know that won't happen, but after the tragic downfall of Castlevania earlier this year, it needs something else to prove that it is not just "the Metal Gear Solid Company" which also rakes in money on mobile games. It has Silent Hills in its line-up, which is sure to alleviate some of that pressure, but it then brings up the problem that Konami is just "The Hideo Kojima Company" on the AAA scene. He shares billing with Hollywood director Guillermo del Toro on Silent Hills in the same way he shared in on the credits for Casltlevania: Lords of Shadow. Needless to say, he's still far too much in fashion, and gamers are sill in love with the games he makes. Unlike Square Enix, Konami doesn't have the clout to move beyond him. Konami looks great on the AAA scene thanks to him and his studio dropping so much effort into Metal Gear Solid V these days, but I am worried that leaning on him too much means that it is not stirring the pot enough to find new homegrown talent hidden within its ranks. Are there no Naoki Yoshidas or Hajime Tabatas at Konami? Capcom is following up two of its fan-favorite Resident Evil games as it shows more willingness to adjust to the criticisms and listen to its audience. Resident Evil Revelations 2 was one of the most popular games on the show floor this year. Many fans love the first one for its adherence to both the old and new style of Resident Evil at the same time, and for not allowing a huge budget to inflate it beyond redemption. These same fans are still still waiting for more on the Resident Evil Remake HD, which strangely was not at Tokyo Game Show 2014 despite being announced a month or so earlier. Oh well, can't complain too much because there isn't anything wrong with more Phoenix Wright, and maybe the time has finally come for Monster Hunter 4 Ultimate to make the series viable in the West. Bandai Namco lost Dark Souls over the course of last year year now that developer FromSoftware has fled the open arms of Sony, but it still has the most exciting Dragon Ball Z game in years look forward to. Tales of Zesteria was the only game to show up from its own original franchises, but the company clearly sees more profit in making licensed anime games. Speaking of Dark Souls, Sony has a "brand new" franchise to call its own in a little title known as Bloodborne. Recent years have seen Sony drop countless dollars into Western exclusive hits like inFamous: Second Son, Uncharted, God of War, and Destiny, so when it steps up to deliver something from Japan, it almost feels like a throwback to the old days of PlayStation and PlayStation 2. Sony jumped at the chance to snag up the hottest Japanese action game company in the world, FromSoftware, and it walked away with an exclusive that proved to be the talk of the show. All of the traditional pillars of Japanese gaming still have something to offer, including the big one. Nintendo is always there doing its thing, but of course it never attends the Tokyo Game Show or brings any new hardware to show off. Why sink all that money into a booth when you can have third-party companies do it for you?! Thanks to Capcom's Monster Hunter 4G demo, the Internet is abuzz with how light the New Nintendo 3DS feels in your hands and how the crisp buttons are nearly perfectly placed. I left Tokyo Game Show 2013 last year thinking that the future of Japanese gaming as I grew up with could only be salvaged on the indie market. The biggest hit of the show was deep down, a game that still hasn't entered beta testing yet, and none of these companies seemed to bring the same zest to their presentations. They all seem tired, haggered, and beaten back in 2013, just dying to make mobile games or wait it out until the PlayStation 4 finally became official. This year though, I'm glad to see that Japan's biggest are finally catching up and showing more confidence in their ability to stick to their guns while competing in the Western dominated gaming world. Everyone, especially Square Enix, brought their A-Game to Tokyo Game Show 2014, and while the library of Japanese games isn't huge by any means, its enough of a start to get the ball rolling for what could be a recovery period after a wayward generation. It's finally a joy to be evolving along side these companies once again. 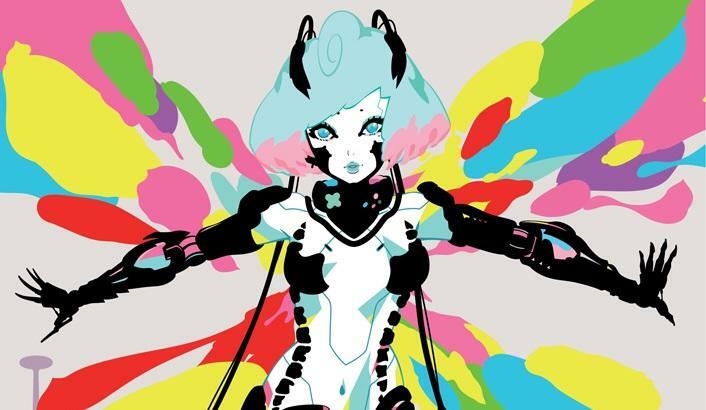 Likewise, the indie scene got a chance to bloom at Tokyo Game Show 2014. I bumped around the booths, glancing at games while I passed by, and while it's encouraging to see Indies finally making an appearance at Japan's biggest shows and given the treatment they deserve, sponsored entirely by Sony by the way, I didn't see anything particularly new or anything that I hadn't heard of before. Many of the offerings were the latest and greatest from non-Japanese indie teams. The stuff you can already easily find on Steam, Kickstarter, or Google Play. I'm not saying I didn't have fun with the indies at Tokyo Game Show 2014. I enjoyed Lovers in a Dangerous Timespace and Mighty No. 9, but when I go to a Japanese convention, I tend to want to gravitate more towards unknown Japanese games so I can shine a light on them. I left BitSummit 2014 this year hoping that Japan's indie scene would catch on in time to have a few exciting newcomers burst onto the scene at TGS, and I was hoping that Mighty No. 9 Creator Keiji Inafune would inspire a few more of his countrymen and fellow designers to get up and create some great games with the same gusto the West has been doing. However, it seems it might take a little more time for just the usual suspects to show up. NIGORO was there with La-Mulana 2, and Zenith Blue was back with its indie favorite Mitsurugi Kamui Hikae. Block Legend is the only game I keep on my HTC One, and I'd like to keep Million Onion Hotel on it as well if it ever comes to Android. We have yet to see any recent Japanese talent on the scene along the likes of The Behemoth, Team Meat or Polytron. We might have to wait another convention or two before the big hits start rolling in. That being said, this isn't a convention for Japanese indie devs to show off their wares to a foreign audience. It is a chance for foreign indie devs to show off their wares to a Japanese audience, and it that sense, it succeeded greatly! I glanced at Japanese gamers and felt happy to see them enjoying and laughing at wonderful indie games from around the world. This enthusiasm for simplistic games, many of them modeled after Japan's Famicom nostalgic favorites, proves that the foreign indie scene is far more likely to break into Japan than Microsoft ever has been. I am a little torn between the year's Game of the Show because there is a clear difference between the game I thought was the best and the game I want to play more of the most. I'll just cut it down the middle and call it a tie between Bloodborne and Final Fantasy Type-0 HD. There is no doubt which game was the most popular at Tokyo Game Show 2014. As soon as the doors opened on Day 2, I picked up my pace to a brisk jog to get to be among the first to play Bloodborne, and even from the start of the day, I had to wait for 45 minutes to finally play it. The line was closed right behind me not three minutes after the floor opened due to congestion, and I feel bad that a lot of people didn't get the chance to enjoy it. …Okay, not really, but yes, Bloodborne was the best game to appear at Tokyo Game Show 2014 this year. FromSoftware's Demon's Souls and Dark Souls were the best and most revolutionary Japanese action games of the previous console generation, so it only feels right that Director Hidetaka Miyazaki's return to the big chair would make the first big splash for FromSoftware at the start of the new one. Character class selection is limited to just four builds now, providing far less options on how to tackle levels, and it is a far more linear experience than anything that the Dark Souls games had to offer. Also returning is Miyazaki's love of dark, depressing fantasy art, this time with the Victorian twist, and it just looks great thanks to the upgraded guts of the PlayStation 4. Dark Souls II's brown skeleton zombie things wore really thin after killing the hundredth one, but Bloodborne's possessed villagers are a revelation on how even throwaway enemies can be brought to life with solid art direction. Not since Resident Evil 4 have I been this captivated with even the most basic and simple enemies of an action game, and I absolutely can't wait to see how this carries over into the new boss fights. Bloodborne killed me before I got the chance to see one in my demo. If Miyazaki passed up direction on Dark Souls II because he wanted to get Bloodborne ready to be one of the first breakout exclusives for the PlayStation 4, then it was a sacrifice well worth making. Dark Souls fans who might have felt a little slighted about the half effort Dark Souls II came off as can rest easy that Bloodborne is a return to form. As for which game I want to play more though, I am just excited to see Final Fantasy finally getting back on its feet. Final Fantasy Type-0 HD is the best possible way to slowly lure fans into the idea of the traditional JRPG series becoming an action series before it goes full throttle with Final Fantasy XV. In fact, Square Enix did try to make a similar style action RPG for consoles just recently before in Lightning Returns: Final Fantasy XIII, but that failed because Square Enix tried to complicate the combat system with pointless RPG mechanics and spread it out over a large world map so it could be like Skyrim. In this regard, I am a fan of how Final Fantasy Type-0 HD's handheld roots make it such a simple game and the perfect size that it needs to be. Linear hallways and tight corridors without a lot of detail, nice solid combat that is flashy enough to carry some weight but not be totally over the top, light RPG elements and variety in characters' approach to combat. It would be easy to dismiss a lot of games of this nature, but there is enough variety here between managing a party and specific character's skills to match a combat situation. I want to see how characters evolve. I want to see how optional missions and story missions are selected and panned out. I want to toy around with armor and weapons. Basically, I want to sit back and play a nice JRPG with all of the pacing and thrills of a modern action game. Bloodborne is nice, but I can't really relax while playing it, can I? Plus, it has me pumped for Final Fantasy XV, and am hoping its success leads to an HD port of Director Hajime Tabata's other hits Crisis Core: Final Fantasy VII and The 3rd Birthday. The best game that showed up without a playable demo was clearly Final Fantasy XV. The only competition was Metal Gear Solid V: The Phantom Pain, and while it had some great new mechanics to show off, like the eye-patch wearing wolf and Quiet's battle tactics, the hailstorm of news from Square Enix's world famous series shot it to the front of everyone's mind. An upstart, no-nonsense, relatively unknown director replaced longtime elite Square Enix figurehead. A new demo releasing with Final Fantasy Type-0 HD will house four hours of gameplay and a huge open world to explore. Final Fantasy XV also easily had the most jaw dropping trailer to emerge from the game floor. It is poised to return the series to the foreground of video gaming, and it could even be big enough to motivate the Japanese public to take high end console gaming seriously again.